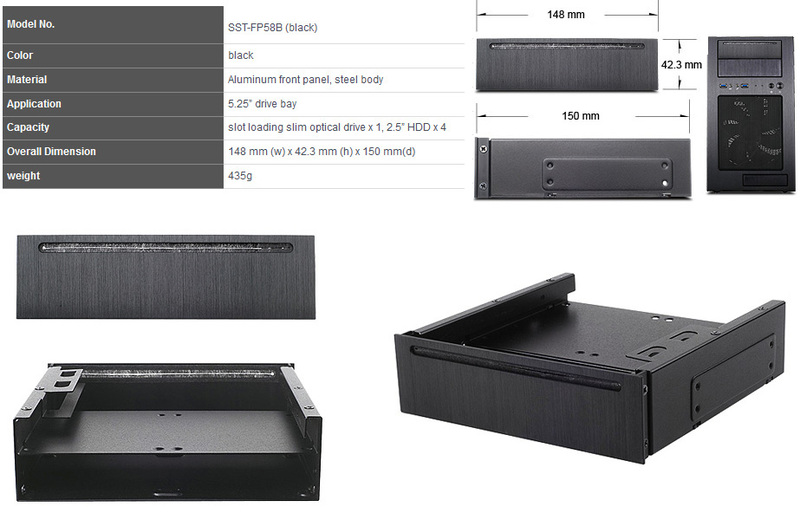 The FP58 is a high quality device bay designed for those looking to add an optical drive to their PCs while maintaining streamlined look on the front panel. Its aluminum bezel is beautifully finished in hairline brush pattern and anodized to provide great match to a brushed black case. The only break on the front bezel styling comes from a discreet cutout that works with slot-loading slim optical drive. In addition to fitting slim optical drive, the FP58 effectively uses the rest of the available 5.25in drive bay space for installation of up to four 2.5in hard drives or SSDs.